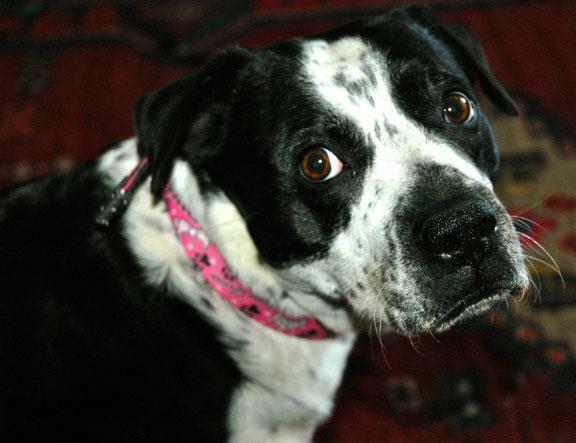 Albina is a lovely mastiff/boxer mix girl. About 18 months old and full of puppy energy. She weighs 50 lbs now with a little room to grow. Albina has a nubbin tail, loves to snuggle and romp in the yard. Nikki's favorite activities include snuggling, romping and eating Quackers. Nikki's adoption fee includes a free box so she can show you all her tricks she learned during her basic obedience class! 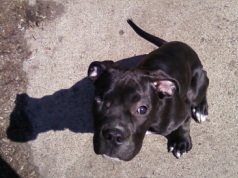 Achilles is a Mastiff mix puppy looking for a great place to grow up! One of his eyes had a birth defect and had to be removed. No worries, just means this impish fellow has a perpetual wink and a smile for his new family. Born December 7, 2012. Get him home before he is triple digits! !